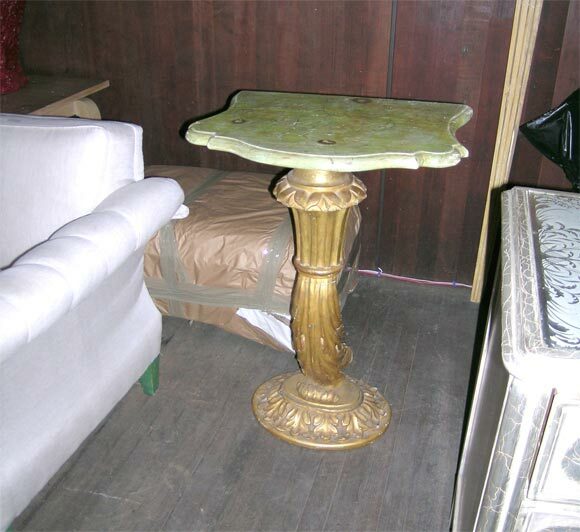 Gilt pedestal console with newer green faux marble wood top. 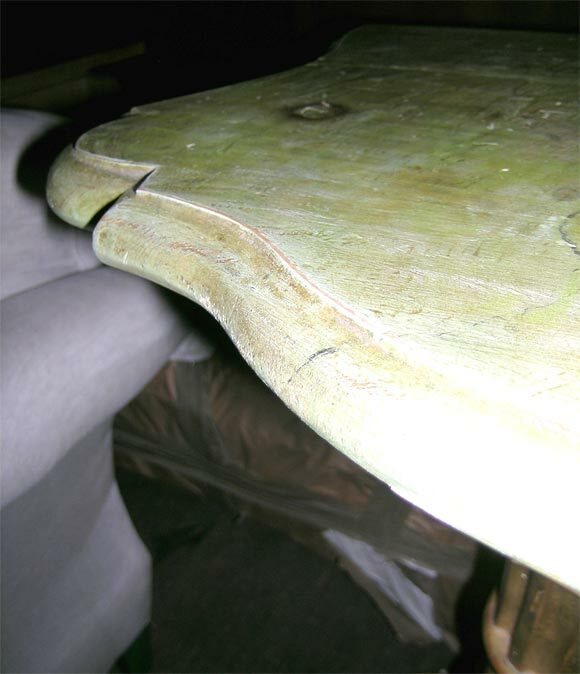 Good distressed condition with some losses to gilding. 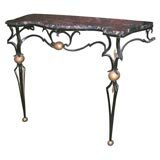 Shaped honed black marble top on Poillerat type stylized wrought iron base console with gilt ball ornamentation. 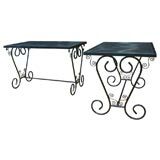 Rectangular metal table with metal mesh top and curlicue sides. One available. 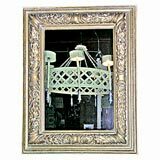 Gilt carved wood framed mirror. Mirror is newer. 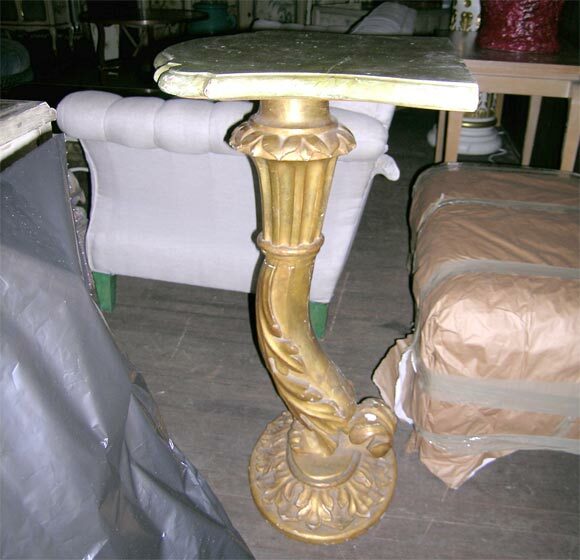 Old blue and water giltwood finish. 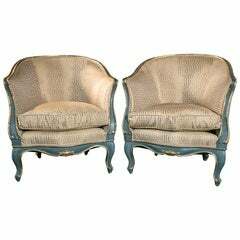 Reupholstered Italian chairs with new cushions. 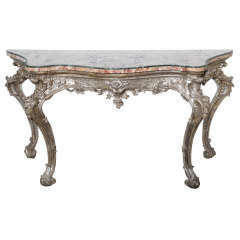 A gilt Italian console table. 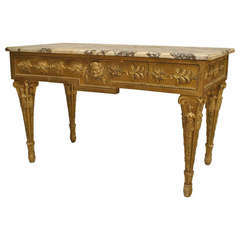 Gilt wooden console with marble top. 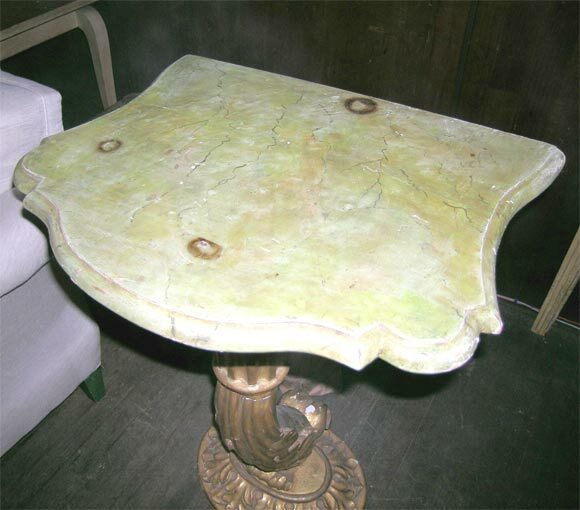 Spanish Brocatelle marble top. 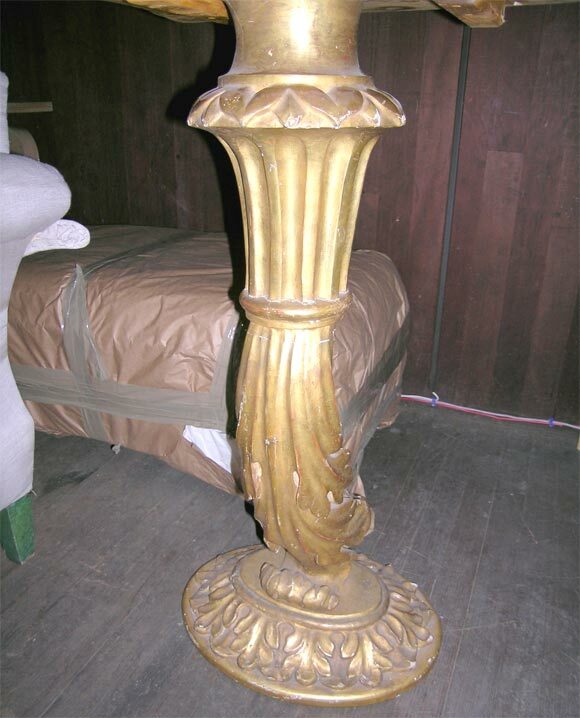 Sculpted giltwood base. 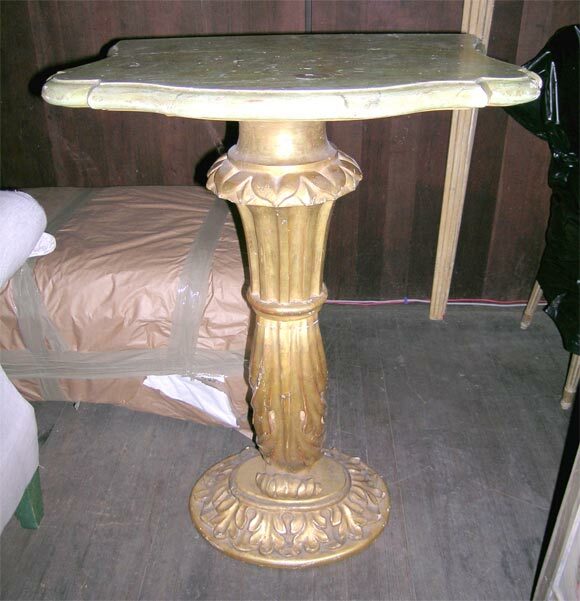 Palacian console. 18th century, Italy. Good vintage condition. Original.